Regardless of the reason, you may be re-evaluating your data backup and storage options and you’ll definitely want start by considering Azure cloud service. Does your Milwaukee area business need to remain HIPAA compliant? Do you store sensitive company data on in-house hardware? Is your business growing while your IT infrastructure is relying on outdated equipment? There are many Azure cloud benefits, but these are just some of the main reason small, mid-sized and enterprise businesses are making the switch. If you want to ensure your company is ready for growth and the rapidly changing technological landscape (IoT, voice-enabled computing, etc. ), moving your business to the cloud is highly recommended as a next or even a first step toward getting out of the “digital stone age”. 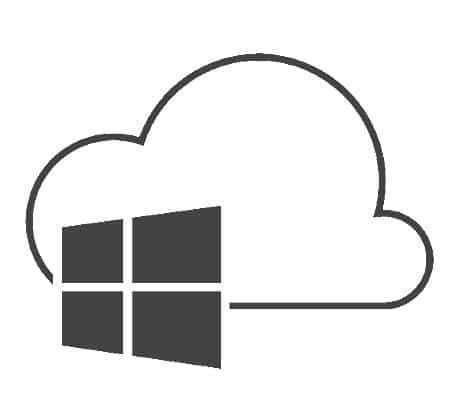 While evaluating cloud management providers, don’t overlook Microsoft Azure cloud service. Not only does Microsoft have decades of business computing expertise behind them, but they are leaders in innovation and mobile solutions. Through the many Azure cloud benefits available for businesses, mobilizing your workforce with Microsoft Azure can help your business prepare for future technological advances in business computing. Business productivity is one of the most popular reasons businesses make the decision to mobilize their workplace with Microsoft Azure cloud service. After all, if your server is on site and the company Internet goes down, business comes to a screeching halt. What can be worse for employee productivity than that? If deadlines are missed due to a malfunctioning server, customer trust and the credibility of your business is at risk. 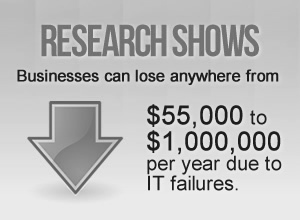 Research shows businesses can lose anywhere from $55,000 to $1,000,000 per year due to IT failures. Can you really afford to endure that kind of expense due to server failures? From lost sales opportunities to bad publicity and lost business, the true cost of downtime is just too significant when there is a reliable solution like Azure that exists to help you minimize this risk. The old days of storing all company data in the office is coming to an end. With today’s mobile workplace, employees need access to data anytime, anywhere. Since Microsoft Azure cloud solutions are not centralized to one location, mobile employees can get access to company files from home, a customer’s office, an airport or even from a different country. If a customer signature is required on important documents, employees can request a digital signature and store it securely in the cloud. The ability to transfer data immediately to your office is a real time saver compared to moving paperwork back and forth between a customer’s location and your office. Businesses can gain an extra 240 hours of work each year by adopting a BYOD policy and mobilizing their workforce. For productivity reasons alone, the benefits of Azure are definitely worth looking into. Cyber security is becoming a top priority for businesses of all sizes. 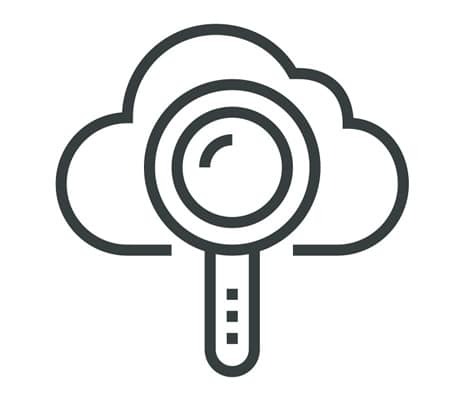 Many organizations rely on Microsoft Azure cloud solutions to not only ensure employees can access files securely, but also to also monitor all data touch points within the company. In today’s mobile-enabled BYOD workplace, data management is absolutely critical. When your business runs on Microsoft Azure, you can control access to data and monitor how staff are interacting with your data via their mobile devices. Don’t put your business at risk by utilizing consumer-grade file sharing and storage systems. Data theft, corrupted data, compliance issues, and unauthorized data syncing are just a few of the potential problems you might face when using a consumer-grade file sharing solution like Dropbox. While a BYOD office is great for employee productivity and cost savings, it is not without risks. Not only can lost or stolen devices put a business at risk, but former employees who still have mobile access to sensitive company data can pose a significant threat as well. 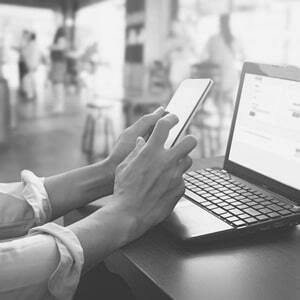 If your workplace is BYOD (bring your own device) friendly, a MDM (mobile device management) solution is a great way to ensure BYOD threats don’t pose a risk to your business. With a MDM solution in place, businesses can guard against security risks like mobile malware, data leaks, unauthorized access, and unencrypted data vulnerabilities. 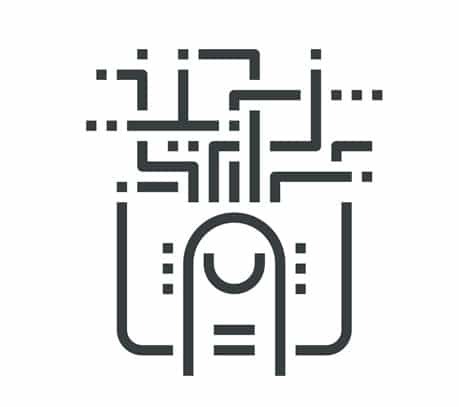 An MDM solution allows you to restrict who has access to company data, track app downloads that interact with your data, and monitor for viruses on the mobile devices employees are using. Through a MDM solution, private employee data is still private, but all company data can be closely monitored for security risks and intrusions. Mobile device management is essential in today’s mobile-enabled workplace. Why Microsoft Azure Cloud Solutions? A mobile workplace is the way of the future. 74% of businesses already allow, or are planning to allow employees to conduct work-related activities on their mobile devices. Microsoft Azure can help your organization manage security risks, it enables employees be more productive regardless of their location and this powerful technology has the capability of keeping your sensitive company data out of the wrong hands. 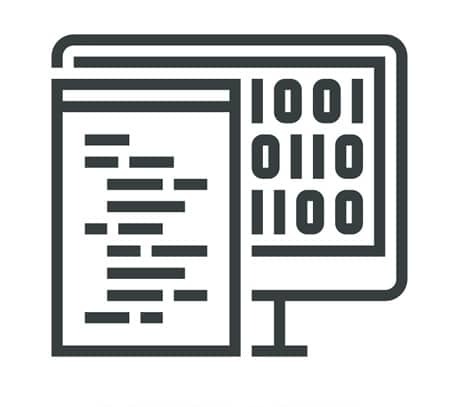 If you are ready to put Microsoft Azure to work for your company, give our Ontech Systems support team a call at (262) 522-8560 or connect with us online. Our skilled team is highly qualified and experienced with Microsoft Azure technology. We’ll help you understand Azure’s capabilities, answer your questions, and ensure your business is mobilized for success.